What is work? Ask a physicist, and she might breezily answer, “Force times distance.” Ask a biologist, and you might hear about cells converting ATP to ADP + P. Ask an economist, and you might hear about the interplay of labor power, resources, and capital. Ask Dad, and he might tell you, “What I did to put you through that college in Oregon.” Who’s right? All of them. 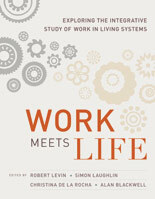 In Work Meets Life, Bob Levin (himself a biologist) gathers a cross-disciplinary panel of experts to discuss work, and the interplay of work and living systems, from their respective areas of expertise. His goal is to forge a better understanding and a more focused approach: a study of work that breaches the disciplinary boundaries that separate these perspectives. 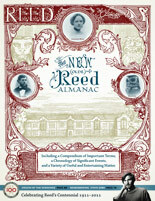 The book begins with the biochemical building blocks of work, where microscopic life forms wrest order from the brute verities of thermodynamics, and tackles increasingly complex systems, moving from microbial metabolism to management theory, with stops along the way to discuss the energy-information tradeoffs of the Pony Express and the active energetic balancing act of satisfied workers. The essayists here assembled—biologists, neurologists, and industrial designers—refer frequently to each other’s efforts, indicating the collegial, cross-disciplinary approach that went into the book. Though the central thesis of Work Meets Life is tantalizing, the book doesn’t always convince. Worker dissatisfaction, for example, is reduced through seductive Cartesian curves to be mere imbalances in the worker’s stored versus expended energy, with no room in the clean graphs for “my boss is a jerk.” But we should expect some rough edges whenever an interdisciplinary team tries a radically different approach to a single subject. To its credit, Work Meets Life suggests many more questions than it answers. Having brought us from microbes to human workplace relations, it would be interesting to see this grand unification extended to the macrowork of organizations, and, indeed, that of economies and nations. More work for later.